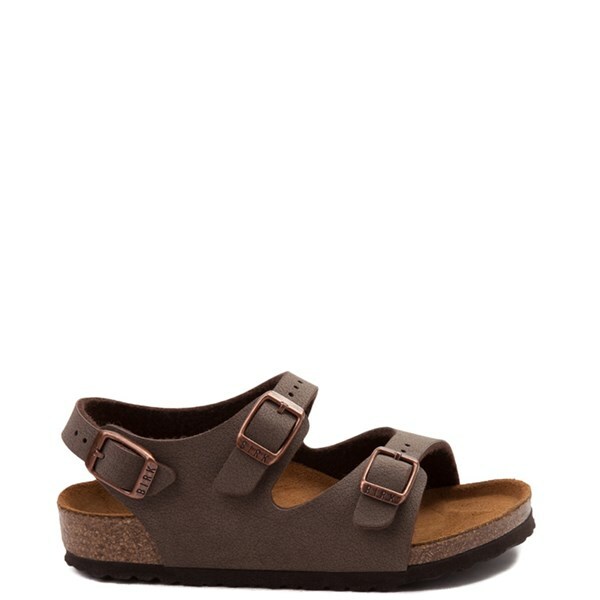 Strap in for casual comfort and style with the new Roma Sandal from Birkenstock. The Roma Sandal features a synthetic leather upper and an anatomically correct cork/latex footbed molded to the contours of your foot, promoting comfort, balance, and support. Includes 3-buckle closures for an adjustable and secure fit, a flexible EVA outsole for lightweight shock absorption, and moisture-wicking dual layer jute for sandal preservation and durability. Please be advised that the Birkenstock® Narrow width accommodates both traditional narrow and medium widths.